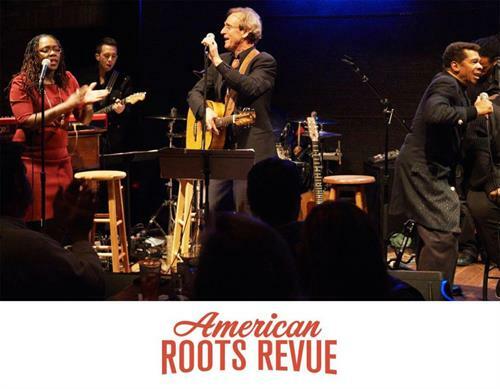 The American Roots Revue reinvents itself with a different line up and a unique performance at each stop it makes along the road. In Lanesboro, Larry Long will be joined by JD Steele (Mr. Steele and his dynamic vocal siblings, “The Steeles,” have garnered nearly every major music award and accolade that Minnesota has to offer), Billy Peterson (bass player, songwriter, composer, session musician, producer and oldest musical son of the renowned Peterson family), Tonia Hughes (Tonia’s powerhouse vocal style is colored with melodic acrobats and elements of Gospel, Blues, Jazz, R&B, Rock and Worship) Cory Wong (a standout guitarist and musician who tours internationally with Nashville singer-songwriter Ben Rector and Michigan funk act Vulfpeck), Billy Steele (keyboard player and vocalist who is also another member of the dynamic Steele family and the producer of the Grammy Award-winning act Sounds of Blackness) and Petar Janjic (drummer for Foreign Motion, fDeluxe and Chastity Brown). Larry Long will visit Lanesboro prior to this concert for a series of community engagement events utilizing his songwriting curriculum to assist community members in the process of sharing local stories and turning that collective narrative into a song that celebrates commonalities across various groups. This activity is made possible by the voters of Minnesota through a grant from the Minnesota State Arts Board, thanks to a legislative appropriation from the Arts & Cultural Heritage Fund. Please check back for more details on the community song events with Larry Long.